The Magewell USB Capture SDI 4K Plus connects to your computer over a USB interface and lets you capture up to a 4K DCI resolution signal (4096 x 2160) with embedded audio via a 6G-SDI input. 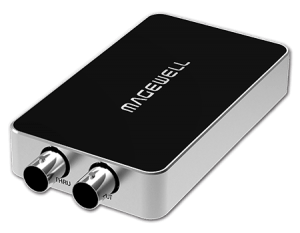 It also features a 6G-SDI loop-through for local monitoring, and 3.5mm audio input and output for capturing external audio and extracting embedded audio. It’s compatible with Windows, Mac, Linux, and Chrome operating systems. The new USB Capture SDI 4K Plus captures 4K video at 30 frames per second over its 6Gbps SDI interface. 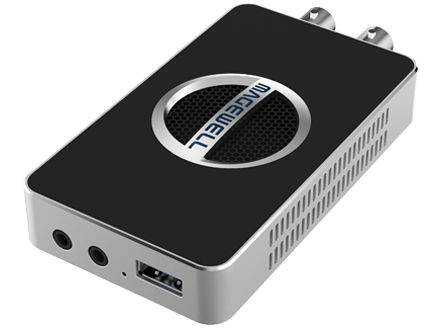 4K inputs with 4:4:4 or 4:2:2 color sampling are automatically converted to 4:2:0 for capture in the NV12 or I420 color space formats, to fit within the bandwidth available in the USB 3.0 standard. 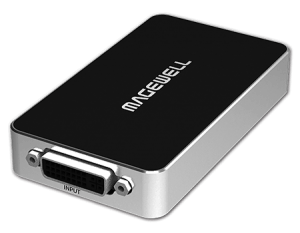 Like existing Magewell USB video ingest solutions, the newest USB Capture Plus models enable all types of computers including laptops to capture professional video and audio signals through a standard USB 3.0 interface, with no additional power source required. 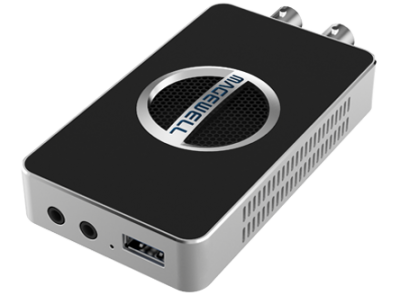 Available with SDI or HDMI inputs, the 4K USB Capture Plus devices capture resolutions up to 4096×2160, including 3840×2160 Ultra HD. Both new 4K USB Capture Plus devices support embedded audio in the SDI or HDMI input signal, as well as separate audio inputs and outputs for capture and monitoring: line-level analog input and output connections on the USB Capture SDI 4K Plus. 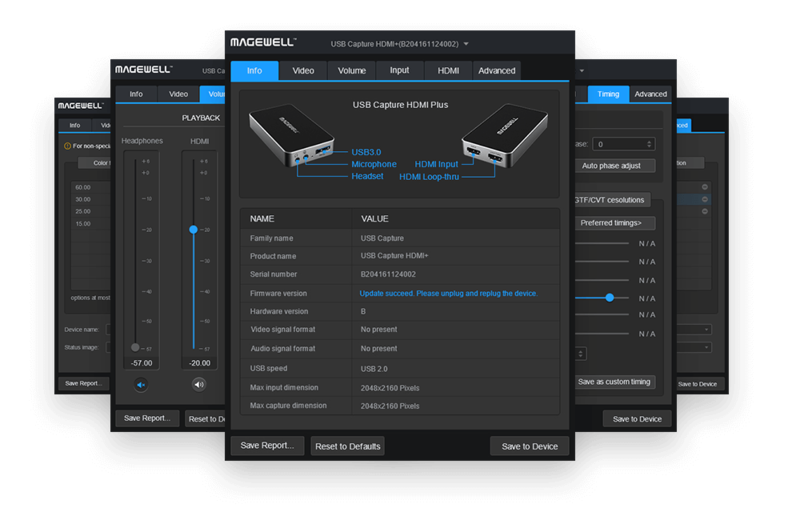 The new 4K USB Capture SDI Plus device features FPGA-based video processing, providing high-quality deinterlacing, up/down conversion and image controls while maximizing CPU availability for third-party software. 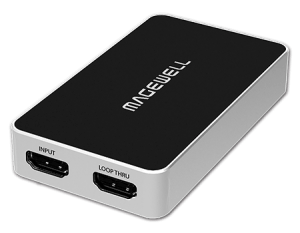 FPGA-based audio processing featuring ASRC technology delivers superior USB audio handling, while the included USB Capture Utility software gives users advanced control of processing settings and access to detailed status information.